There is still a possibility that flights will not be able to take place the day after Britain’s planned departure from the European Union next year, an EU official said on Friday. Henrik Hololei, director general for Mobility and Transport at the European Commission, said the clock was ticking and that the effects on aviation could be significant after the March 29, 2019, exit day. “The possibility still exists that on day one no flights operate. It hasn’t disappeared,” Hololei said at a CAPA Centre for Aviation conference in Dublin. “One thing is clear, is that this is a very sad chapter currently being written,” he said. He added that before any negotiations could be done specifically on aviation, or any other sector, the overall framework of Britain’s departure had to first be agreed. 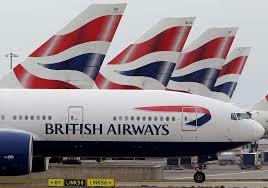 Willie Walsh, CEO of British-Airways owner IAG (ICAG.L), said it was important to remember that the flights question was not only a problem for Britain, but also for the rest of the EU. “(Ryanair CEO) Michael O’Leary portrays this as people in the UK won’t be able to fly. But it’s people in Europe that won’t be able to fly,” he said, referring to repeated warnings by the Ryanair boss that flights could be grounded in March 2019. Walsh also said he was confident that Britain and the United States would be able to reach a new traffic rights agreements covering flights between the two countries, although said it may be slightly different to the Open Skies deal between the United States and Britain, in light of more protectionist noises coming out of the United States.